We are thankful if we see our children come to Christ and imitate our passion for God’s Word, His Church and holy living. But we dread them picking up our weaknesses, edginess, fears or embracing warped bents–imitation is important. Want to get better at your sport? It will take discipline, repetition and imitation. The way we pass the ball, take the shot, dribble, throw, swing the bat, position our glove, rush the quarterback or punt the football has a lot to do with imitation. My dad could punt a football farther than any man I have ever known–still to this day, I am uncertain I have ever seen anyone consistently punt it as far. He was asked to play professionally, but refused for the sake of His family. I never kicked it as far as old thunder-thighs did, but I can tell you, I imitated his technique, and never forgot his lessons. Open your Bible to John 10, and get ready to turn some pages, because imitation is an essential process in the life of a believer too. Repeatedly in the New Testament we are told to imitate, walk like, follow Christ, and imitate those who walk closely with Christ. Start in John 10 and tour through the New Testament with me and see what I mean. And now for today, 1 Peter 2:21, “For you have been called for this purpose, since Christ also suffered for you, leaving you an example for you to follow in His steps.” Now here is the truth, and for some of you it’s a big bummer, but you can’t follow Christ, you can’t imitate Christ, and you can’t even follow those who imitate Christ. Why? You don’t have the eyes to see where to go, nor the strength capable of making the journey. You have to be genuinely saved, continually filled with His Spirit, and accept that following Christ will include suffering for you. This is why some who claim to know Christ don’t pursue Him any longer. How do you see it? Marginal church attendance, no service, little giving, lots of religion but little heart passion to obey the Word of God? Most don’t deny Christ, nor turn against Christ–no, they don’t want that guilt. They want to think they’re still going to heaven in their self-defined Christianity, where they do what they want. They don’t want to suffer, serve others, or sacrifice–their faith is a matter of convenience. And what’s worse is, we let them. This is a crime. There are people who say FBC is their church–they’re here once every three weeks, they never serve, barely give, but since they’ve been here a long time, they are known, and as a result we never say anything to them about their disobedience. Listen friends, normal Christianity attends church every week, normal Christians serve. Only spiritually sick, so-called, maybe, make-believers live out a casual Christianity. Stop pretending and stop accepting marginal Christianity with people you say you love. You don’t love them if you allow them to continue in marginal obedience and obvious disobedience. You don’t love them if you don’t say anything. True Christians obey–they want to obey. That means attend, serve, one another-ing, give and all the other basic New Testament commands. You say, “Chris, if you keep saying that, people won’t want to come here.” The purpose of our church is not to make you happy, we are here for Christ to make you holy. And we would rather offend you now, so that you might repent, than to see you in torment forever as a self-deceived, make-believer who says, “Lord, Lord, did I not do all this in Your Name?” But He says, “Depart from Me, I never knew you.” Happy Mothers Day! All genuine believers follow Christ. All real Christians imitate Christ. And that means all born again saints will suffer like Christ. This is what Peter affirms in 1 Peter 2:21-25. Open your Bible and take your outline. This passage is so awesome it hurts, partly because it is all about Christ Himself and what He did for us, and partly because there is so much great truth here it is like a favorite meal–it’s tasty. Let me read it, then point out some important elements which will help you embrace the one intended meaning. There are two important passives that provide bookends to this paragraph– underline in verse 21, “you have been called,” and in verse 25, “you have returned.” Both of these describe actions that have happened to you. These are two acts that God has done to you. You’ve been called to suffer and to submit–God brings that about. And you’ve returned to Christ in salvation–God brings that about. God is never wrong. The Word is clearly declaring in verse 25 that God brought you to Christ, who shepherds you and guards you. And verse 21 says God intentionally calls you to suffer in this life. The next one is verse 24, “So that we might die to sin and live to righteousness.” God is calling you in this passage to follow Christ, verse 21, and verse 24, to live like Christ, dying to sin and living righteously. The middle section of verses 21-25 is describing who Christ is and what He did so that we would imitate Him, walk in His steps, WWJD, follow Him and do what He did when we suffer, or when we live under abusive authorities like a slave did. Listen, WWJD is good as long as you add IHW–In His Word. As you can see, Peter is reminding us what Christ went through in order to act like Him when we suffer unjustly as well. And today, God calls us to walk in His steps, to follow His pattern, to imitate His actions, to respond like He responded. But friends, the path God tells us to take is not the easy one. The road we are to imitate is filled with pain. Been on a road like that? Like a slave who submits in action and attitude to a cruel master, we too are to submit to hardship just like Christ. And this road to heaven that all genuine Christians are on inevitably leads to suffering for each real believer in this room. Peter is speaking to people who are living in a frontier region where life is hard. They have most likely been kicked out of Rome, and that causes the citizens around them to suspect them. There is growing hostility toward Christians in the empire, and these believers are experiencing full-blown suspicion, and the beginnings of persecution. Some of these Christians are slaves who have unsaved, and sometimes cruel, masters, and Peter has just told them in 1 Peter 2:18-20 to submit, to live in that hostile environment before God, seeking to endure all their suffering before a watching God. And to make certain they don’t suffer because of their own sin, but because they were doing right, for suffering unjustly and enduring it brings grace (a blessing) and is a strong witness for God’s glory in this world. As John MacArthur states, commendable behavior on the part of the believer in the midst of such trials results in the strengthening and perfecting of the Christian on earth and his increased eternal capacity to glorify God (as a reward). So Peter says our suffering must be like Christ’s suffering if it’s going to point to Christ. What is God’s plan for this? I thought you’d never ask. Peter starts verse 21, “For you have been called for this purpose, since Christ also suffered for you.” The Greek text begins with the words “into this”, which ties this verse to the previous discussion on suffering slaves, but the general principles regarding suffering here apply to everyone here who is under a higher authority, like in business, marriage, family, education, church or government. And God says, into the sphere of unjust suffering under authority, verse 21, you have been called. Turn to Matthew 10. Unjust suffering is not an accident, it is not someone else’s fault. Many times it is not your fault. It’s not about Mother Nature being angry. Don’t blame the devil or the fallen world–it is God who has called you to experience suffering. The New Testament teaches you have been called by God to suffer. Look at Matthew 10 and take another New Testament tour with me. Christian friends you were called to suffering. Most of you believe somehow you’ll escape it, but you won’t. 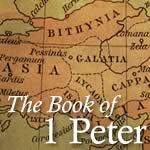 All genuine Christians suffer, Peter says you were called to it. The word “called” here is the efficacious call to salvation–the irresistible work of the Holy Spirit to awaken us from the dead so we can see our sin and turn to Christ and be saved. So Peter says, if you have been called by God to salvation, then you are also called by God to suffer like Christ. Every genuine believer, at some time, at some place, through someone or some circumstance is going to endure unfair treatment. That’s why the gospel promising health and wealth is so evil. That is why the salvation promising 24/7 happiness is weak and wrong. That is why “God loves you and has a wonderful plan for your life” is off. Christ forgives sin, takes away guilt, gives love, peace and joy, but He also calls you to leave everything, die to self and follow Him. Christ is not merely a resident in your life, He is the president. Christ is never only Savior, He is always only Lord of all. True believers don’t add Jesus to their life, to live is Christ. And if you imitate Christ, that means you will suffer like Him. for this purpose, since Christ also suffered for you, leaving you an example for you to follow in His steps.” God is telling us . . . Literally the text says, it’s a fact, Christ suffered on behalf of you. Here is reality for every genuine Christian. Here is God’s Word explaining truths that sadly most pulpits avoid. Christ suffered and ultimately died for you–He saved your life now and rescued you from eternal torment in hell forever. At the cost of the greatest suffering that has ever occurred, Christ provided a way for you to become clean from your sin, washed of your hate, lust, gossip, yelling, lying, cheating and evil. Each one of us deserve to be punished–like an ant, God should have pinched our heads off for our rebellion against His person and His plan for us, but instead He took the punishment we deserved on the cross, which tells us the pattern God lays out for us, starts with a . . .
Peter says in verse 21, “For you have been called for this purpose, since Christ also suffered for you.” God is not describing a religion here, but a relationship with the living God; the only God; the God who created us. It is not merely a knowledge about God, it is intimacy with God. Peter says in verse 21 that Jesus Christ suffered on behalf of you, literally for the sake of you, in order to protect you and care for you. Efficacious, substitutionary atonement–Christ suffered for you. Totally effective, completely accomplished, taking our place, receiving our punishment and paying the price necessary in order to make someone who is God’s enemy into God’s friend. To take the guilty, sick, sinning rebel (that’s you) and forgive them, washing them clean, and make them into a child of God forever. And it was God Himself, in the person of Jesus Christ, who did this for His children, suffering and ultimately dying for them. This is a person, the God-man, who did this–the same One born of Mary, dialoguing with the religious leaders in the temple at age twelve, living under submission to His parents. Then training His twelve disciples and teaching the multitudes for three plus years before finally offering His perfect sinless life in your place on the cross. Most of you know the story of the Viking village that was suffering under a kleptomaniac. Things kept disappearing, stolen, sometimes found in ruins. The law said this crime must be punished by 39 lashes in the public square. After nine months, the thief was caught and confessed. It was the king’s own 9-year-old son. There was no joy in the village, because all knew that the punishment for the crime had to be carried out regardless of the prince’s relationship to the king. But all knew that the punishment would certainly kill a 9-year-old boy. Plus, if the king made an exception for his son, he would no longer be king. The day arrived and the entire village came to witness what would happen. They took the prince to the center of the square, tied him to a long pole and stripped off his shirt. Then dead silence as the whip was thrown back in preparation for the first of 39 stripes. Just as he was about to strike the child, the king shouted, “Hold!” Everyone gasped. It was then the king walked down from his viewing platform, walked to his son, took off his crown, stripped off his coat and shirt, and then this giant of a man wrapped his arms around his boy, covering his son with his huge, kingly body–and then ordered the man to begin the scourging. That is what Jesus Christ did for each of you who are His own. He took the punishment you deserved for your sin. Jesus wrapped His entire body around you and took your whipping. Peter says in verse 21, Jesus Christ, the God-man suffered for you. And Peter also says, God had a . . .
Verse 21 adds, “Since Christ also suffered for you, leaving you.” Christ intentionally left you with a plan. The Greek word “leaving” is to leave behind something someone can use. We are to look at Christ’s suffering and see that as for us. This was God’s plan to be saved by, to live by and to endure by, embracing the suffering of Christ on our behalf. Christ left us this Gospel because we need it, not merely for salvation, by putting our dependent faith in Christ’s work on the cross for us through repentance, changing our direction in life from sin and self to Christ–but for our sanctification too. The next time your spouse pushes your button, or some other authority, the Gospel is designed to remind you that you are a horrific sinner and will change you from being angry, to wondering how could my spouse actually put up with someone as horribly sinful as myself? God’s plan is for the Gospel to change the way you live every single day–He left it for us. Why? For a . . .
Verse 21 continues, “With leaving you an example.” This is a fun phrase–the word “example” can actually be translated “pattern.” The Greek word “example” is hupogrammon, which literally means “writing under,” referring to a pattern placed under a sheet of tracing paper so the original images could be duplicated or traced. In ancient times and still today, children learn to write by tracing over the letters of the alphabet to practice writing them. Do you remember connect-the-dots with letters? Or paint-by-numbers? It’s hard to stay in the lines. Christ is the example on which believers trace their lives. And Christ’s suffering is the plan Christ left behind to be the pattern we follow. We are to imitate His suffering, we are to trace His suffering, we’re to suffer the way Christ suffered, following His example as our exact pattern. Peter is telling us, when we suffer unjustly, we are to suffer the way Jesus suffered–exactly like He did–imitate His suffering. No one suffered better than Christ, so we are to trace His example–in fact, Peter tells us to pursue it. Verse 21 says, “Leaving you an example for you to follow.” This is the pattern you are to pursue, to follow after. In fact, the Greek includes a purpose statement, a “that“. This pattern Christ left us was on purpose and for a purpose. God intends for us to pursue living this out. It’s one of the purposes we are still here. Walk this way, live by this pattern, take this road, follow these signs. The suffering of Christ is the route you are to pursue for you to follow. The verb “to follow” may or may not happen. It could be translated for you “to hopefully follow,” but it is something clearly that God wants you to do, and he uses a verb that tells you to take action in your pursuit of suffering the exact way Jesus did. Now stop it you literalists–you Amelia Bedelias. God is not calling you to crucify yourself, but He is calling you to respond to unjust suffering the same way Jesus did, which is described in the following verses. Yes, Peter says at the end of verse 21, here is your . . .
Verse 21 ends with, “Leaving you an example for you to follow in His steps.” In His steps is literally in the footprints of Him. You’ve seen dance flow footsteps for you to follow, so that you pick up the dance: 1, 2, 3, 1, 2, 3 . . . Salsa . . . Tango . . . Waltz . . . Macarena? You’ve left your footprints in the sand at the beach, and even followed those footprints by stepping in them along the way. I have actually walked through regions of deep snow, by stepping in the footprints of those who have walked before. In some cases, it was the only way I could have traversed the area. There have been times when hiking up a steep face or following a difficult trail, I will put my feet only where others have already left a footprint. And Peter says to you, Christian–follow in the footprints of Christ. When suffering, when under authority and submission is difficult, follow in the pattern you have in Christ. The procedure is, do exactly what Jesus did when He suffered unjustly–trace His suffering, pattern each step and each choice in your trial and make sure it is what Jesus would do in His Word. You ask, “Chris, what would Jesus do, if an authority was harsh, or I was suffering for no other reason but God brought it about?” The answer is rich, profound, overwhelming, and powerful. And it will be exposited next Sunday–incredible, don’t miss it. 1 What does suffering tell you about your heart? In the parable of the soils in Matthew 13, some of the Gospel seed falls on rocky soil, so it says in verse 20-21, “The one on whom seed was sown on the rocky places, this is the man who hears the word and immediately receives it with joy; yet he has no firm root in himself, but is only temporary, and when affliction or persecution arises because of the Word, immediately he falls away. Christianity is easy when there is no suffering, but as soon as it hits, you will find out where your heart is really at. In Christ (saved), you will endure, in fact, you can shine. But with religion, even a Christianity, you will sour and fade. The ultimate measure of a believer is not where they stand in seasons of comfort, but where they stand in times of conflict. 2 How willing are you to suffer? 1) The comfort crowd–those who are partially obedient, who don’t serve in the church because it might require more than they want to give. They enjoy fellowship, but are not faithful to worship. They don’t commit because it is too costly. These are churchgoers who are constantly debating the difference between ignorance and apathy, which is–I don’t know and I couldn’t care less. 2) The obedient crowd–these are the faithful believers who seek to obey all the commands of Scripture, no matter what the price. 3) The passionate crowd–these are obedient believers who cultivate a heart which is passionate for Christ and are aggressive to pursue His work, no matter what the cost. The comfort crowd is not willing to suffer, the obedient crowd is willing, and the passionate crowd is looking to make an impact for Christ through any means necessary, including suffering. Which are you? 3 Are you seeking to be an example? Train your children with the truth and your life. Model someone who pursues Christ, serves Christ faithfully, gives to Christ sacrificially, and witnesses for Christ aggressively. 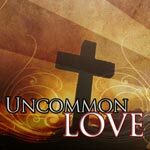 Be one who confesses sin, exercises faith, and loves the Lord more than anyone or anything this world can offer. Do you want to marry a keeper? Marry someone who is so passionate about Christ, they prove they love Christ by their obedience to the Word of God, and they love Him more than you. A true example demonstrates how to respond when life is unfair, and they show off Christ when they suffer unjustly. Do you? We are so proud it often takes suffering and injustice to humble us before God to live Spirit-dependent lives. Those of you going through it right now, ask God to expose pride, and ask Him to make your relationship with Him closer and sweeter. Brokenness means you live every moment as if you just saw Christ being crucified for each specific sin you’ve ever committed. Brokenness means you will stop trusting in your wisdom, ideas and desires, and only rely upon God’s Word and God’s Spirit. Brokenness means you know you are nothing and Christ is everything. God works best through broken vessels. As a Christian, if you take Christ from the word Christian, what’s left is IAN–I AM NOTHING.